I BOOKED IT! The Commercial Actors Handbook. Commercially, she has worked with countless celebrities, including: Ringo Star, Norm McDonald, Dr. Ruth, Kate Hudson, Blake Griffin, Chris Paul & Dinah Shore to name a few. She also appeared in 2 acclaimed Super Bowl Ads in 2013. Over 50 of her commercials have won Cleo’s. Her extensive background in commercials has lead to several career highlights such as being remembered as the Judge in CLAIROL HERBAL ESSENCE with Dr. Ruth, a role in which Saturday Night Live did a hilarious spoof of her. Actors all over the country have benefited from Judy's techniques as she speaks, teaches and holds workshops sharing her experience. Some of her more well-known credits include a Television Series Regular on The Jackie Thomas Show. Currently Judy is recurring as Lauren on The Fosters. You may have also seen her in her Recurring role on the Emmy-winning show Mad Men as Olive Healey (Peggy’s Secretary), a role which won her a SAG Award. Her other favorite recurring credits include The Odd Couple with Matthew Perry, Hand of God with Ron Pearlman, Married with Children, For Your Love, Grosse Pointe, and Manhattan, AZ with Chad Everett. She has done numerous guest appearances on the hit shows This is Us, Jane the Virgin, NCIS, Modern Family, The Middle, Bones, Castle, Scrubs, Desperate Housewives, ER, Seinfeld, The West Wing, NYPD Blue, and Friends, just to name a few. Her teaching career has also lead to immense success, being voted BACKSTAGE WEST'S FAVORITE AUDITION TEACHER in 2014, 2015 & 2016 and FAVORITE ON-CAMERA COMMERCIAL TEACHER IN LA in 2010 and 2011, & 2012. Her other acting classes have won BACKSTAGE WEST'S FAVORITE IN LA a total of 4 times as well, and continue to produce amazing results for her students. Paul Hungerford is an actor, improviser and director. Paul studied acting and film making at Emerson College in Boston. He continued his studies of acting at the British American Dramatic Academy’s Summer in Oxford, England. There, he played Oliver in As You Like It and Claudio in Measure for Measure. In Los Angeles, Paul has been seen on your TV in over 50 commercials, and in between, on such television shows as Grey's Anatomy, My Wife and Kids, and a recurring role on Bravo’s Significant Others. Paul’s film credits include Stark Raving Mad, Happy Holidays, and Hate: A Comedy, which won "Best Short Film" at the Aspen Comedy Festival. His voice over work has been a part of Blizzard Entertainment's World of Warcraft: Mists or Panderia, and the animated short film, Nougat, winning "Best Short" at the late night series at SXSW Film Festival. Paul is a founding member of the horror film troupe Fewdio, and has been directing films with them for over seven years. Most recently, he directed the half hour sketch comedy pilot for Warner Brother On Demand Lipstick Jones: Half Hour Hour of Power! Paul is also a proud member of Impro Studio's Performance LAB, a narrative improv theatre in Los Feliz and Co-Director of LATheatresports. He lives in Burbank with his wife, two little children and huge dog. Moving to Chicago on a dance scholarship with the Hubbard Street Dance school, it is also where Stacy started to pursue her theater training by studying the Meisner Technique at Wisdom Bridge Theater's acting program. She was soon seen in plays around town, including 'In The Boom Boom Room' and 'Agnes Of God'. As a founding member of the 'Center Theater' company, she appeared in, 'Lysistrata 2011 A.D.' the musical. Stacy was soon cast in the soap opera, 'Santa Barbara', which brought her to Los Angeles. Over the years, Stacy has appeared in numerous series and movies of the week. Most notably, HBO's Vietnam War Stories, TNT's film, Houdini and a series regular on Chicago Hope. Most recently she has appeared on, Shameless, Pure Genius and The Fosters. In film, Stacy won best actress at the Taormina Film Festival and was nominated for an Independent Spirit Award for her role in, In The Company of Men. You can also see her in Primary Colors, Superbad and The Bling Ring. George Ketsios, a born and bred Chicagoan who had a thriving career in the Chicago theatre community and trained at The School at Steppenwolf, relocated to Los Angeles 12 years ago and has found success as a working actor in both television and film. Between acting jobs, George has been working for 7 years as a session director with several casting offices in Los Angeles. Having assembled a strong, supportive creative team in Los Angeles, he secured representation in Seattle, NYC, Atlanta and Chicago, all of which have proven to be successful. Recent work: Swedish Dicks, Insecure, Late Night Snacks/TRU TV, the new Mario Van Peebles thriller, Grimm, Lady Dynamite and booked a supporting role in the independent feature Tom Waits Laughed. Other work: Guest Star on Scandal, NCIS: LA, and a role on Revenge, voice of the character "Moloch" on the FOX show Sleepy Hollow for 3 seasons. Shameless, The Mindy Project, Hot in Cleveland and more. Writing: Completed a pilot and outline for and 8 episode series, half way complete with a second pilot and working with a production company to begin pitching to networks in early 2018. Proud to be part of the KIRA staff and community. Thank you to Judy Kain allowing him to share his knowledge with students each and every week. George lives in Silverlake with his wife Sharon and his son Leo. Donna Rush was named LA's Favorite Kid's Acting Coach by Backstage West Readers. She has vivid childhood memories wanting to be an actor growing up in Houston. That, along with being a mom, fuels her passion for helping young actors learn the skills needed to succeed while having fun! Donna has been seen in dozens of commercials over her career, including recent spots for Capitol One with Spike Lee, Charles Barkley and Samuel Jackson. This Fall she appears in the new NBC comedy Marlon, the new season of American Crime Story and the upcoming Feature Film Spinning Man with Pierce Brosnan. She's excited about a new project in the works to reprise her role in the sequel to the film Street. Other credits include Gone Girl, How to Get Away With Murder, Criminal Minds and Revenge. Ads a former Texas News Anchor, Talk Show Host and Reporter, Donna can be heard weekday mornings as Host of SoCal's MorningRush on 99.5 KKLA radio in Los Angeles. She's married to her college sweetheart, Craig. Doug began his acting/directing career in his native Florida, where he earned his degree in Media Communications while serving as a reporter, photographer, and eventually managing editor at his college newspaper. Although he originally thought his calling was print and broadcast journalism, he realized he was drawn to visual media, learning film and video work at local television stations where he worked. He also developed his talent for acting, performing at area theaters in such diverse productions as Twelfth Night, An Enemy of the People, As You Like It, and Pippin, which he co-directed. He was then asked to direct several productions including The Rainmaker, Play It Again, Sam and The Wizard of Oz. Since moving to Los Angeles, he has worked as an actor in stage productions such as the critically acclaimed The Jones Boy and Closet Land and appeared in a number of national and regional commercials. On film and television, he has appeared as a recurring role on General Hospital, as well as doing a string of films including Brenda Starr, with Brooke Shields. Besides acting he works as a casting session director, video director/editor/cameraman and commercial casting director as well as teaching commercial and theatrical acting classes in Los Angeles, San Francisco, Chicago, Oakland, Santa Barbara, San Diego and Phoenix. He's also done two international stints, teaching American acting to Japanese students in Tokyo. By his estimate, he has seen well over 200,000 commercial auditions. Soledad Campos fell in love with acting after seeing Oedipus El Rey at the National Theatre and TV shows like Bonanza and The Brady Bunch in her native country, Chile. She then formed a theatre club in her high school where she worked on classics like Moliere and Beckett and sketches based on TV shows. Coming to the U.S. at age 19, she studied English, Theatre and Modern Dance at Montgomery College, MD and the University of Maryland. She couldn’t get enough of theatre so she performed for ten years, non-stop, in Washington, DC including works like the title role La Malquerida at Gala Hispanic Theatre, New-Visions New Voices at The Kennedy Center, and Camino Real at The Shakespeare Theatre. She also performed Mexican Folklore for five years at many venues in Washington, DC. During the day, she was the Program Creator/Producer of “Encuentros: Latin/o America at the Smithsonian" for The Smithsonian Institution. Upon moving to Los Angeles sixteen years ago, she has been in over 30 commercials in both the Spanish and English markets. She worked opposite to Forest Whittaker in the film Powder Blue and has been a co-star in Gilmore Girls, Samantha Who?, Raising Hope and The Mindy Project. One of her favorite projects though has been working on the DGA’s 48 Hour short film Coffee Break because she loved the creativity and team work under extreme adrenaline! 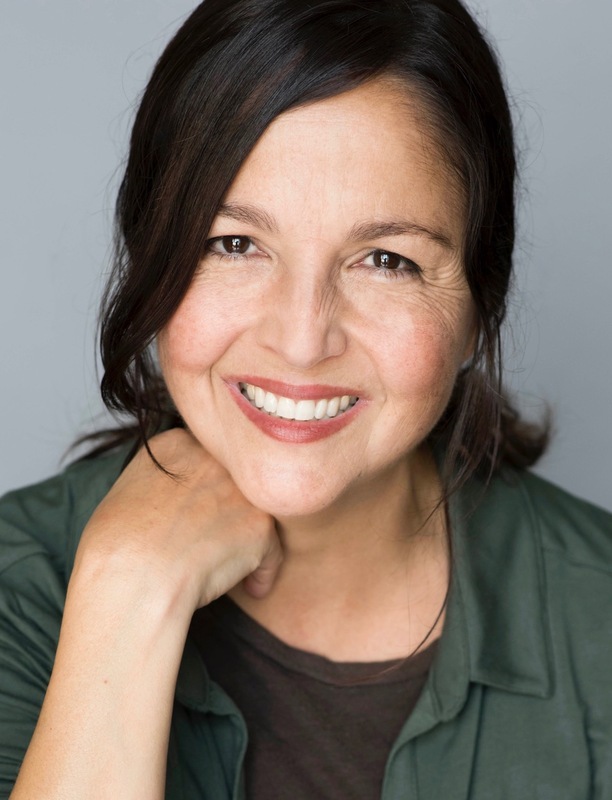 Soledad has been teaching Spanish for 15 years and freelances as a Dialect-Coach for Casting Directors and On-Set for commercials. After transitioning from a successful print model working with well-known photographers and designers appearing in numerous campaigns in magazines and on runways all over the world, to an accomplished on-camera actor in commercials, stage work, feature films, soap operas, and episodic television, to a proficient on-set acting coach specializing in characters with mental disabilities... Tom focused his wealth of knowledge and keen eye to become one of L.A.’s premier image consultants, headshot coaches, and creator of the Castable Actor, a series of workshops, seminars, and advice designed to help actors open doors to a successful career. Tom Burke’s work experience in the different acting mediums together with his diverse training in various acting methods (taught by some of the most renown acting teachers spanning New York, Chicago, and Los Angeles) has developed a talent to be able to successfully teach, coach, and understand a wide range of actors, helping them pinpoint their specific types, brands, and most marketable images. He currently writes a monthly column for BACKSTAGE which helps actors understand the importance of creating, presenting, and packaging a marketable branded image that the film and television industry is actually buying. Read Tom's Latest Backstage Article! Lisa Fredrickson has been teaching and performing Improv for over 25 years. In Los Angeles, she currently leads classes at Impro Theatre, Harvard-Westlake School, Mayfield Senior School and California Lutheran University. Her focus is always on FUN. Her goal is that you leave her classroom smiling and realizing that you are endlessly creative. She will use improvisational games, theatrical acting exercises and your own ideas to get the best out of you! She is a positively charged, working commercial actress who applies improv to most things she does in life!